Trampolining is exercise in disguise! 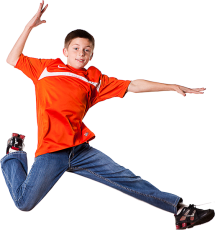 Does your child need to expel some extra energy? Do you feel the need to incorporate more physical activities in your child’s life? Our Trampolines can help you with that! A one time purchase that requires no special gear, fits in your time schedule and is located right at your own home is proven to be more beneficial than many other forms of exercise. 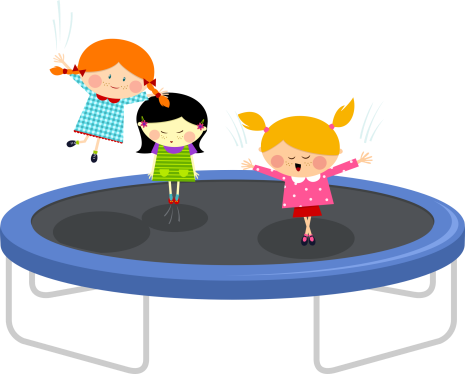 Trampolines are a great way to exercise, entertain friends, enjoy being outside and most important, have fun! They are great for people of all ages including teens & adults. Trampolines are great fun and exercise for the whole family. Exercising on a trampoline helps you stay healthy and fit. A trampoline in your backyard or garden is like having a gym right outside your door. Your big backyard trampoline is a source of well documented health benefits apart from the fun of normal rebounding. Trampolining's many health benefits include improved cardio vascular fitness. A daily workout of 20 minutes improves your stamina and tones your muscles. Experts have published that trampoline rebounding allows you to work harder and for longer than other workouts as your energy isn't used to absorb the shock of the hard surface. Keep your jumpers on the trampoline with a safety net from our store. Our safety enclosures are built to maximize jumping space, with the netting around the outside of the frame. Your kids will be kept on the trampoline with thick woven polypropylene mesh.